Scratch the back of the Gift Card and reveal your code. 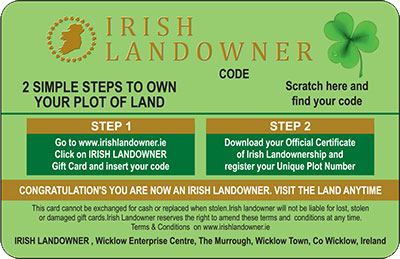 Fill in form below, insert your code and name to appear on the Certificate then download / print your Certificate and register your Plot Number. 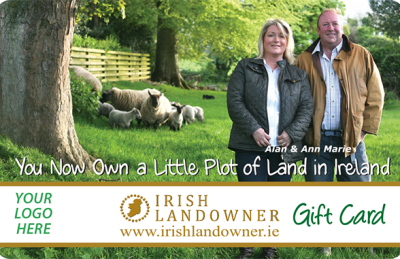 You can then visit the land anytime and be an Irish Landowner. The Name on the Certificate will appear exactly as you enter it, especially upper and lowercase letters. Please ensure accurate name entry. You need to fill in all required details. Thank You.